... Aryabhata I's value of π is a very close approximation to the modern value and the most accurate among those of the ancients. There are reasons to believe that Aryabhata devised a particular method for finding this value. It is shown with sufficient grounds that Aryabhata himself used it, and several later Indian mathematicians and even the Arabs adopted it. 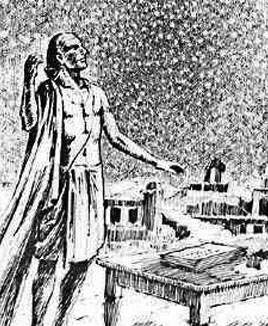 The conjecture that Aryabhata's value of π is of Greek origin is critically examined and is found to be without foundation. Aryabhata discovered this value independently and also realised that π is an irrational number. He had the Indian background, no doubt, but excelled all his predecessors in evaluating π. Thus the credit of discovering this exact value of π may be ascribed to the celebrated mathematician, Aryabhata I.